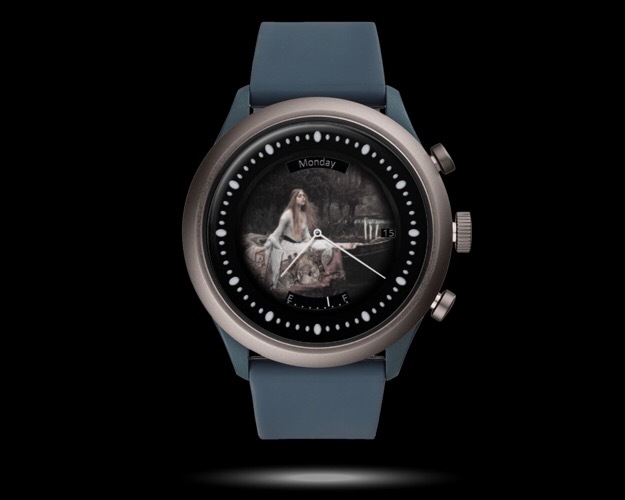 Yesterday we visited the Pre-Raphaelite Exhibition in Canberra, Australia and I was inspired to try to incorporate one of the publicly available images from the exhibition into a watch face design. The image I chose is the very well known "Lady of Shalott" ,by John William Waterhouse (1888) . I tweaked the image a little to produce a somewhat muted and ethereal version for my design.